MAC USB drive data recovery software completely gets back your accidentally deleted crucial office files, important documents and other valuable data from various types of USB drives including pen drive, thumb drive, flash drive, zip drive, key chain drive, jump drive and other types of popularly used USB drives. » Recovers your lost project files, inaccessible necessary data at cost effective price. » Supports fast recovery of your lost audio, video and picture files. » Retrieves missing, misplaced data from formatted pen drive without any data loss. » Restore accidentally deleted files which are saved in all types of file extensions. » Program uses deep disk scanning techniques to recover damaged data. » Salvages your lost priceless photographs, favorite music collections and valuable data. » Kingston, SanDisk, Transcends, Dell, Kingmax, Sony, Lexar, PQI, Samsung etc. Recover unintentionally lost data from damaged pen drives of all capacity. Restore accidentally deleted photographs, audio, video songs and your favorite snapshots from USB drives. 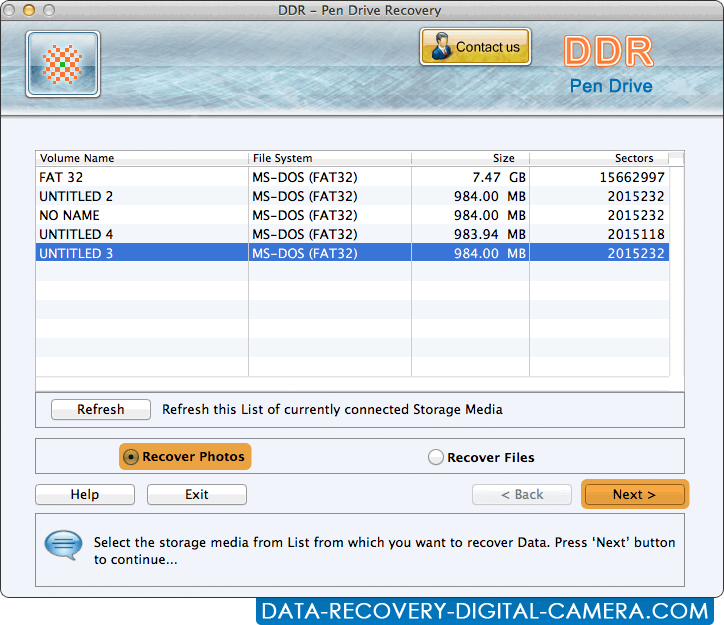 Regain missing digital photos, images from pen drives and other USB storage media without affecting their originalities. Application provides highly interactive GUI interface with inbuilt help manual so that novice users can easily understand working features and functionalities of software.